Creating & Maintaining the Perfect Sunless Tan! Summer is around the corner, and as the temperature is heating up, our clothes are becoming lighter. We are showing more skin and want to look appealing in our tanks, skirts, and dresses. Sun and sun damage (as scarily shown in the left pic) is old news, and sunless tanning (as beautifully shown in the right pic) is all the new! Every year at Pure Spa Direct, our Sunless Tanning clients, inquiries, and orders are growing dramatically. One of the most common inquires we receive is regarding the maintenance of the Sunless Tanning Equipment. Like every other appliance in our world, wear and tear is normal with every day use. Aside from using the best Sunless Solutions on the market by Pure Sunless and Extended Vacation, the key factor in "Sunless Tanning Excellence" is also the equipment. Keeping your equipment up-to-date, and clean is imperative in creating that perfect sunless tan. So how do you best maintain your equipment? 1) How Often Should I Clean My Spray Gun? It is important to clean your Spray Gun DAILY! Many clients ask if the gun needs to be cleaned after each use, and while it is recommend, we suggest you clean the gun each time it is put to rest. If you do 1-2 tans a day (one in the morning and one in the afternoon) then yes, the gun must be cleaned after each use. The key factor to remember is anytime the gun is put to rest, it should be cleaned to ensure maximum results. 3) Rinse the solution cup under running warm water until it is clean. 4) Fill the cup to 50ml (1-2 ounces) with warm water. Reconnect the spray gun to the air hose, and turn on the turbo unit. Direct the spray gun to a safe area and spray the clean water through the gun, until the cup is empty. 5) Turn off the turbine unit, disconnect the spray gun and unscrew the cup. Be sure to wipe all exposed areas dry. *CAUTION: Do not submerge the spray gun under water. Do not rinse the tip and air cap while they're connected to the gun, as water may collect under the air the cap and plate, causing mineral buildup. 6) To clean the Solution Cup, unscrew the cup lid and remove the Air Cap Ring. Rinse the threads under warm running water, and then wipe down, till they are clean and dry. 7) Remove the Air Cap. Rinse it under warm running water, and wipe it down till it's clean and dry. 8) (if necessary) Remove the air distributor plate and rinse it under warm running water as well. *To Re-install the three pieces, just reverse the removal procedure. 1) Remove the Solution Nozzle for rinsing. The Solution Nozzle can be easily removed by placing the tip of an adjustable wrench or spanner on the two flat areas of the nozzle, and twist counter-clockwise to remove it. *CAUTION: There is a gasket (seal) around the thread of the solution nozzle, that must be re-installed correctly or leakage will occur! 2) The solution needle can also be removed for additional maintenance. To remove it, turn the solution flow screw counter-clockwise until it comes out of the spray gun. *CAUTION: Needles are very fragile! Be careful when removing the 'solution flow screw' as there is a small spring around the needle. Do not lose it. This is important to the operation of the spray gun. Set the spring aside and pull the trigger all the way back until you can grab the needle with your finger tips. Pull the needle out from the back of the spray gun. Once removed, rinse under warm running water, clean and dry it. Re-install by reversing the removal procedure.... Viola! Your spray gun should be perfectly clean and ready for the next use! 2) How Often Should I Clean the Filter? And How Do I Do It? 1) It is IMPORTANT to clean the filter weekly. This is important to allow your turbine motor to breathe freely, as a clogged/dirty filter will only cause the turbine to overheat and burn out prematurely. 2) To clean the filter (only applies to units with a removable filter), locate it, remove it, rinse it under warm water and simply replace it. *Hint- If your filter becomes damaged, just go to your local pet store, as you may replace it with aquarium or pond filter. It will just need to be cut to the appropriate size. 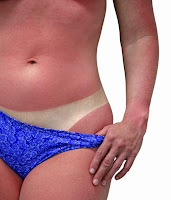 3) When Should I Replace My Sunless Tanning Equipment? 1) Simple answer... when it stops working correctly. By the time any of the units we carry stop working, you would have performed so many tanning services, you would know when something wasn't right. 2) Most of our equipment offers a one year warranty and we do sell replacement parts. If you have any questions on any of our Sunless Tanning Equipment or would like to purchase replacement parts, just contact Pure Spa Direct Customer Service Today!